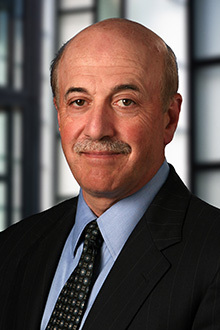 Vincent Marsella is a partner in the San Francisco office of Lewis Brisbois and a member of the Healthcare Practice. Mr. Marsella focuses his practice on defense of long term care facilities against elder abuse and neglect, and wrongful death claims. His practice is also focused on defense of physicians, nursing agencies, veterinarians, and chiropractors. Mr. Marsella has almost thirty years of experience defending clients in cases involving catastrophic injuries or death. His varied practice has included defense of major airline disasters, significant trucking crashes, and managing mass tort litigation in products liability actions. He served as national coordinating counsel for an international chemical manufacturer involved in product liability actions throughout the county. Mr. Marsella has successfully tried cases in a variety of fields, including healthcare. He has also obtained a number of summary judgments and directed verdicts. He has expertise in mediation and arbitration and has favorably resolved scores of cases in these forums. He was appointed as an arbitrator by the Superior Courts of San Francisco and Marin Counties. Interviewed, "Navigating the Legal Landscape in Long-Term Care," Long-Term Living, May 16, 2011. Mr. Marsella is a frequent lecturer for the Elder Mediation Group in San Francisco and Sausalito, California.